The roof of your Arizona home is your first line of defense against the elements, and it takes much more of a beating than your home’s walls, windows, and doors. Stifling heat, dust storms, and other severe weather happen to us year round here in Arizona. Even when it’s sunny and beautiful like most of our days in the East Valley, your roof still has a job to do — shading the interior of your home and keeping it cool inside. While in the process of doing this, your roof can take a beating from the sun’s UV rays, causing deterioration over time. Rain or shine, your roof is your shelter, and you need it to keep protecting you, your family, your assets, and your home from damage. While most people are aware of the importance of their roof, not everyone is aware of the signs that their roof is in need of repairs. For many people, the purchase of a home is the biggest expense they will make in their lives, and a big part of protecting that investment is ensuring that the roof is intact. So, how do you tell if your home’s roof is vulnerable to the environment and in need of roof repair? The roof repair experts at Seco Roofing of Mesa, Arizona, want to share some tips with you for how you can identify the need to call a roofer for repairs and maintenance. You don’t want to be surprised, especially if you’ve just moved into a new home here in the East Valley, so take a moment and follow these tips to see if your roof might be at risk. Walk around your home and inspect the area where your gutters are located. The vertical boards that your gutters are attached to are soffits, and the horizontal boards underneath are called fascia. Look for any sign of water damage on the soffits and fascia, such as dampness, peeling paint, wood that’s swelling, or mold. If you do see damage there, the first potential suspect that could be causing water damage is probably your gutters. Take a quick look to see if they’re clogged or leaking. If everything looks fine with your gutters, however, then the problem most likely lies with the roof. A dark, irregularly-shaped spot on the ceiling, especially if it’s expanding in size over time. Look specifically at the corners and edges of the walls, as this is where dripping water is mostly likely to flow and come in contact with your ceiling drywall. Water that runs down the indoor surface of your chimneys when it rains. Your chimney extends up through the roof, and if the flashing around your chimney is damaged, water could be finding a way through. Place your hand on the chimney brick when it’s raining and see if it feels damp. If it is, you should call a roofer pronto. Once you’ve thoroughly inspected your ceilings and chimneys, you should also take a trip up to your attic, if you can. Do so during a storm for the best results. Search for any signs of water damage on the rafters and flooring in your attic. Inspect closely for any spongy wood, mold, dampness, or odd smells. Water damage that has gotten past your roof’s shingles could be causing potentially thousands of dollars’ worth of damage, so time is of the essence! The older your roof becomes, the more susceptible it becomes to the growth of materials on your roof, including moss, algae, mildew, fungus, mold, or lichens, but moss and algae are among the most common we come across at Seco Roofing. You can differentiate moss and algae by their looks as moss resembles little green tufts and algae looks like dark streaks or discoloration. Are moss and algae a problem? Yes! Not only do they look unattractive, potentially hurting the curb appeal of your home, but they also degrade the condition of your roof, leading to a premature roof replacement. Loose shingles are one of the more obvious telltale signs that a home is in need of roof repair. You can experience loose shingles after any storm or windy day, but here in Arizona, where we can be subjected to strong winds from desert storms from time to time, loose shingles can be a bigger problem than in some other areas. When shingles come loose, water damage to your roof is accelerated. How? Your roof consists of overlapping layers of shingles. Each sheet of shingles is attached with nails in the very top portion of the shingle. These nail holes are then covered up by the next sheet of shingles, meaning that water doesn’t have access to any of the nail holes. However, as soon as any shingle gets loose or comes off entirely, water has access to the nail holes, which penetrate all the layers of your roof: the shingle, the tar paper, and the wood. Now water has a means to get through all these layers and start causing damage where it’s the most costly — the plywood that forms the structure of your entire roof. Left unresolved, this can lead to much more costly renovations down the road than a Seco roof repair. Loose nails cause loose shingles, which we’ve already identified to be a major problem. We’ve heard of people who go up on their roof after every bad storm and pound a bunch of loose nails in with a hammer, but this is an unsustainable roof repair method for two reasons. First, those nails are going back into those same (loose) holes, where they’ll quickly work their way out again. Second, all that hammering on top of your shingles will increase the wear and tear on them, meaning that you’ll be more at risk of leaks and water damage with every successive round of this “repair.” If the nails are working loose across your roof, it’s due to a more in-depth reason, and it’s much better to let a roofing company address the root of the problem rather than simply treat the symptoms. Look carefully at each side of your roof from a clear vantage point where you can see as much of the surface as possible. Do you see any areas that are sagging or not level? If so, you should call a roofer immediately to get an estimate for repairs. 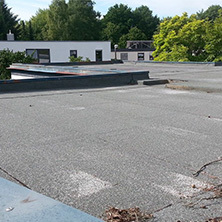 Sagging or sunken areas in a residential roof are a sign that the plywood or wood decking underneath your shingles could be rotting, and by the time you can visually notice it sagging, the damage is usually pretty extensive. 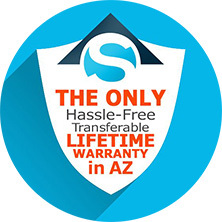 When you need a roofing company who cares about quality and not only wants the best roofing solutions for you but also wants to educate you on how to make your roof last for a lifetime, turn to Seco Roofing. 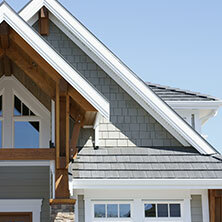 We specialize in every aspect of roofing in Arizona. With over a decade of experience, we look forward to giving you a roof repair so good that you won’t have to replace it for the rest of your life. Ask us for a quote today.